​If you are unable to say Kaddish three times daily with a minyan, YIBONEH can provide you with the peace of mind, by having Kaddish said . It is a way for a descendant to demonstrate the impact of his parent’s life. If the family appoints somebody to recite Kaddish, it is better to pay for this service, than to receive it free. Paying for Kadish assures its recitation and brings more merit to the deceased than when somebody recites Kaddish as a favor. This is especially true when the payment for Kaddish recitation supports an orphan or an elderly Torah scholar. Many families pay for recitation of Kaddish even when there are sons who do recite Kaddish as well. This brings extra merit to the deceased and works as a backup in case the sons miss one of the prayer services due to some emergency. 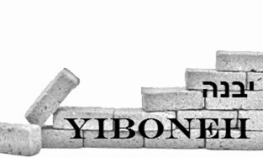 please fill out the form below and you may donate to Yiboneh on the link to the right.